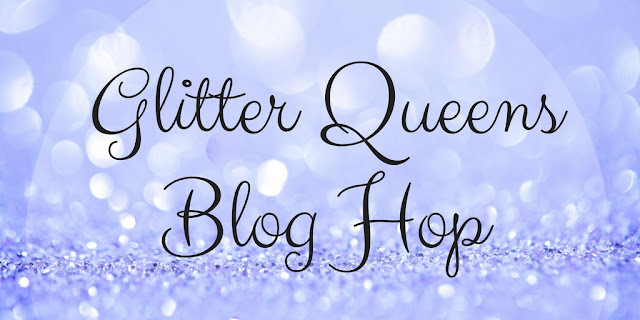 Hello Friends and welcome to the December Glitter Queens Blog Hop! This month we are each featuring Bags & Tags in hopes to inspire you as you look to wrap up your holiday gifting with a creative & personalized touch! 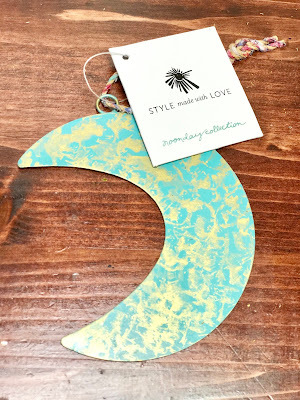 To start with I have these FABULOUS handmade ornaments from Noonday Collection that I am gifting. I have purchased a fabulous selection of ornaments this year through a friends adoption fundraiser and I just can't wait to give them away knowing that not only did their purchase support a family bringing their sweet little girl home but it also is supporting artisans families across the globe through dignified work all while bringing a smile to the gift recipients face. 💝 Talk about a gift with lasting Impact! Let's move on to the creative process of wrapping it up with a special touch! I truly do love adding a personal touch and while I also would love to be stashed away crafting for hours on end, I just don't have that kind of time. 😉 So I like to use simple supplies and elevate them to the next level by just adding a few special touches. For today's project, I took a plain craft bag from my stash ((but honestly, you can get something similar at any of your big box stores )) and ran it through my bigshot along with my Quilted Top Textured Impression Embossing Folder to give it a lovely texture. Next, I chose to add a simple lace doily along with a strip of Stampin' UP!s beautiful designer series paper from the Festive Farmhouse collection. 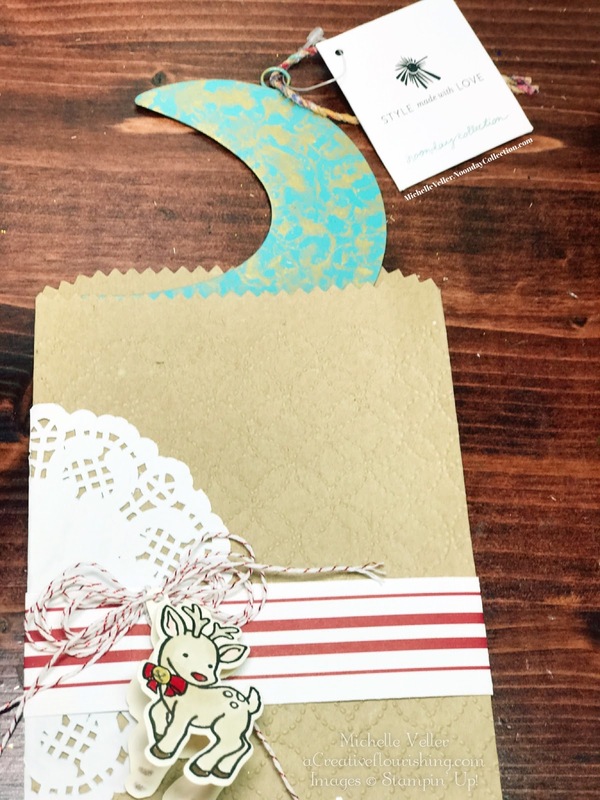 After adding a bow, it still needed a little something so I opted for this adorable reindeer tag to complete the look. 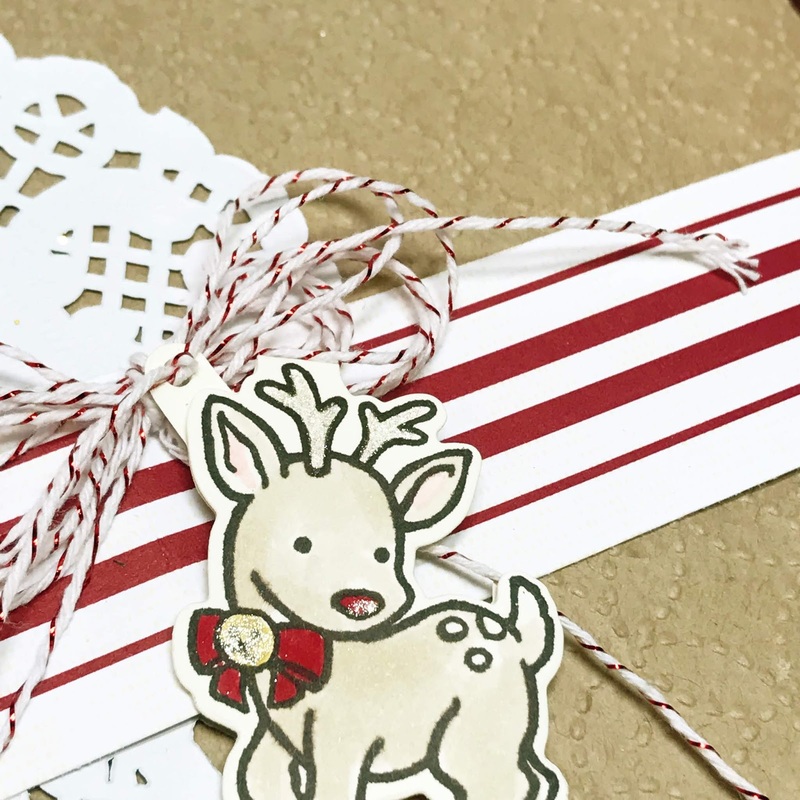 I created this sweet reindeer tag in no time using the Seasonal Chums Stamp Set and Coordinating Thinlets adding just a hint of color and shimmer to complete the look. How special do you think it would feel to receive this sweet gift? 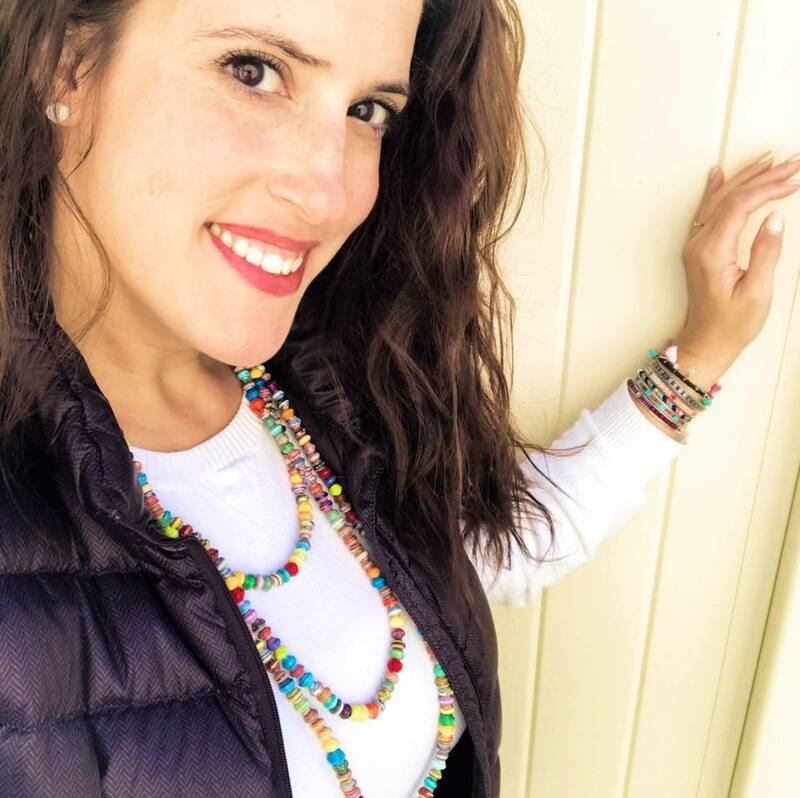 Michelle Veller - You are here! 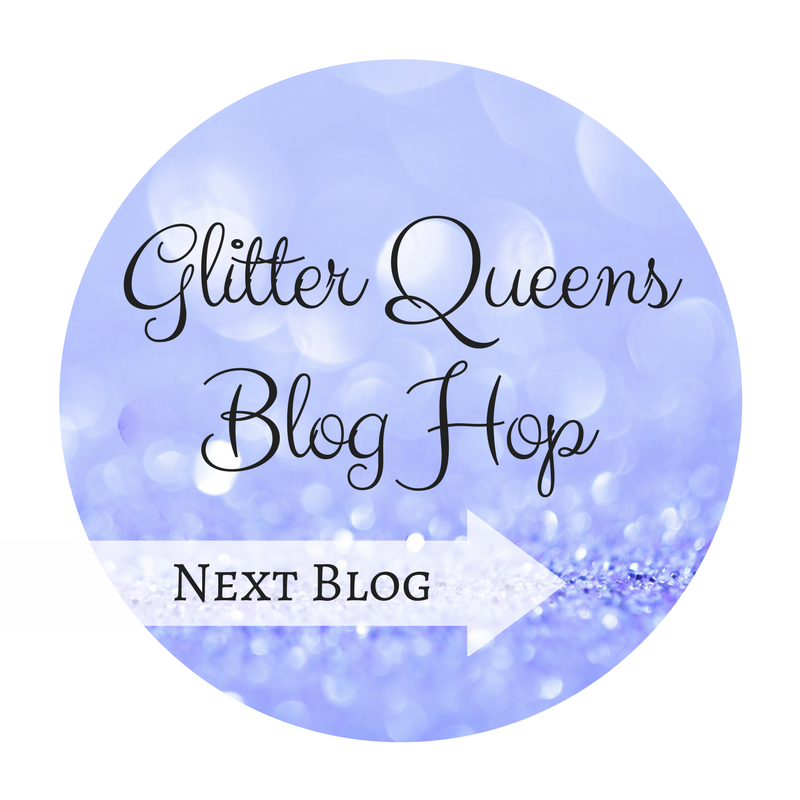 💝Blog Candy.... Win this prize!!! Leave a quick comment on today's blog post and be sure to include your name and email address so you can be notified. The drawing will be held via a Facebook LIVE on Sunday Dec.9th right on my Facebook Page @aCreativeFlourishing ** Winner will be notified via email to get a mailing address. 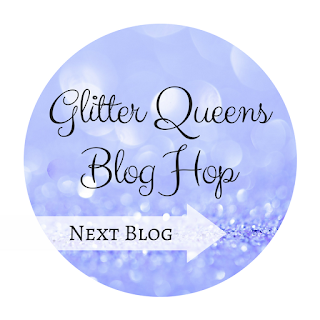 Please note: Blog Candy only available to be mailed to a US address. Thanks again for stopping by today! Cute bag. Very simple to make. Sweet present and bag. Lovely presentation. OOOOH I will so be using this. I have the perfect gift for it to go into! 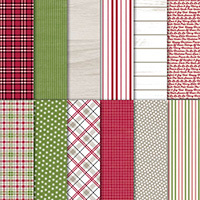 Cute packaging and deceptively easy enough for even starting crafters! Never thought of this idea. Love it. Thanks for sharing! Thanks Cheryle, so glad to provide you with an idea you can use 😍 Makes my day to hear you plan to make some! I love this! So much cuteness!!! Love it - quick and easy! Oh, you made such a cute bag! And those ornaments are lovely too. So cute and easy to produce, Thanks! Cute bag and tag! I will def be embossing my next bag!!! Very cute bag. I like the embossing on it. Who knew what a little texture could do to a plain old bag?! Fabulous look! Great idea, Thanks for sharing. love the idea. it can be done for any occasion. Love simple and cute, and thus definitely fits the bill! 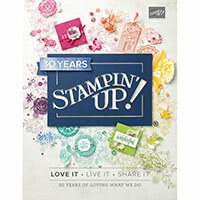 My name is Michelle Veller and I am an Independent Demonstrator with Stampin' UP! I look forward to sharing with you and enjoying a Creative Flourishing together! 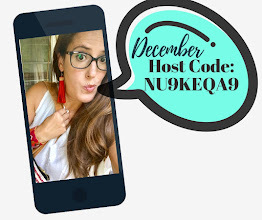 Use this code at checkout to be entered to WIN FREE Stampin' UP! Product from me this month!